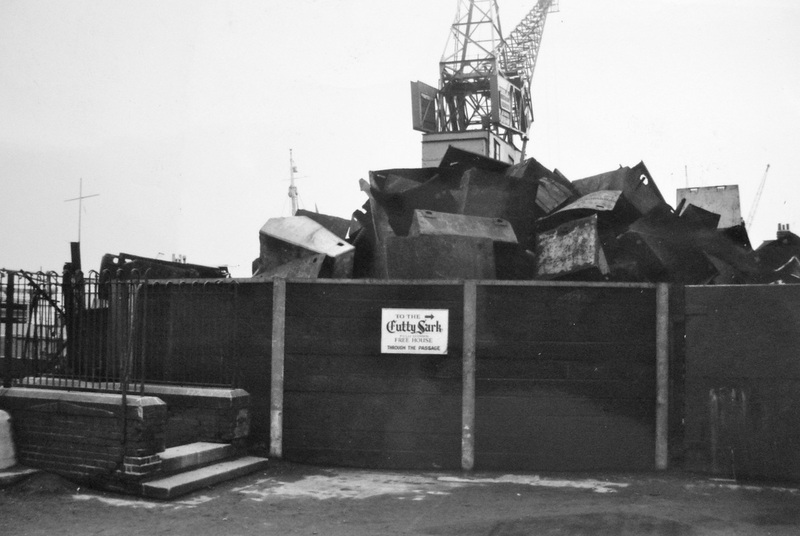 At the western end of Ballast Quay, occupying Anchor Iron Wharf and a further site, bounded by Lassell Street, Hoskins Street and Collington Street, sat the scrap metal business of C. A. Robinson & Co. 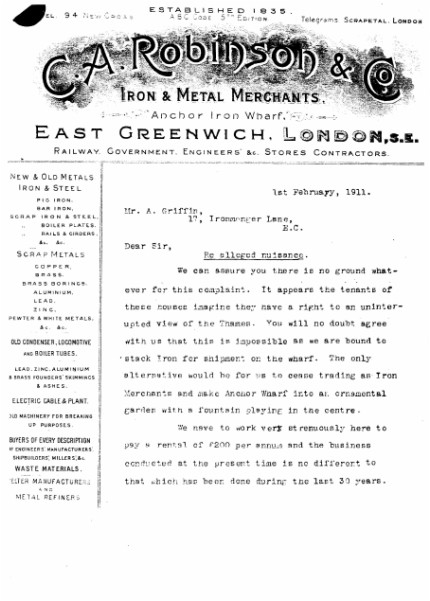 Founded in 1835 in Greenwich the company leased Anchor Iron Wharf from Morden College in 1905 and carried on its business on the wharf until it's lease expired in 1985. 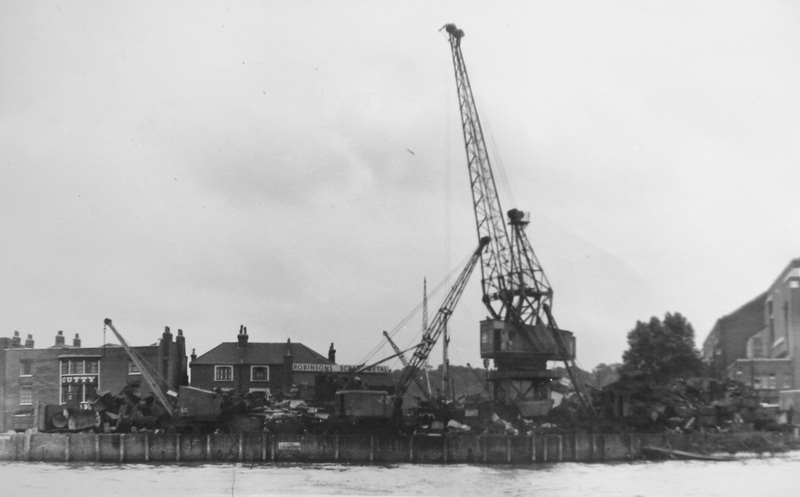 'Robbos', as it was affectionately known to local residents, also worked out of a former collier's wharf, Dowell's Wharf at Deptford Creek Bridge and at Granite Wharf downstream from Anchor Iron Wharf, where they dismantled redundant lighters and barges for their scrap metal content. The Thames footpath passed through mounds of scrap. The welcoming sight of the Cutty Sark Tavern is just visible through the gap. 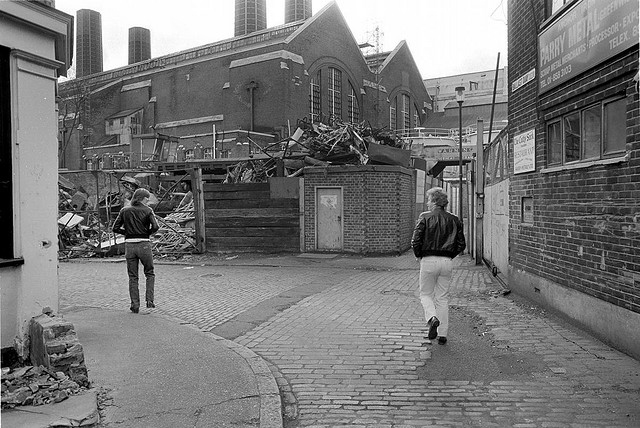 Ballast Quay was one of London’s hidden places. The alleyway is the fictitious setting for a murder in the 1961 novel 'The Worm of Death' by Nicholas Blake, the pseudonym of the Poet Laureate Cecil Day-Lewis, himself a resident of Greenwich. The introduction of a one-way system meant that scrap metal lorries no longer had to squeeze past cars parked on both sides of the road. 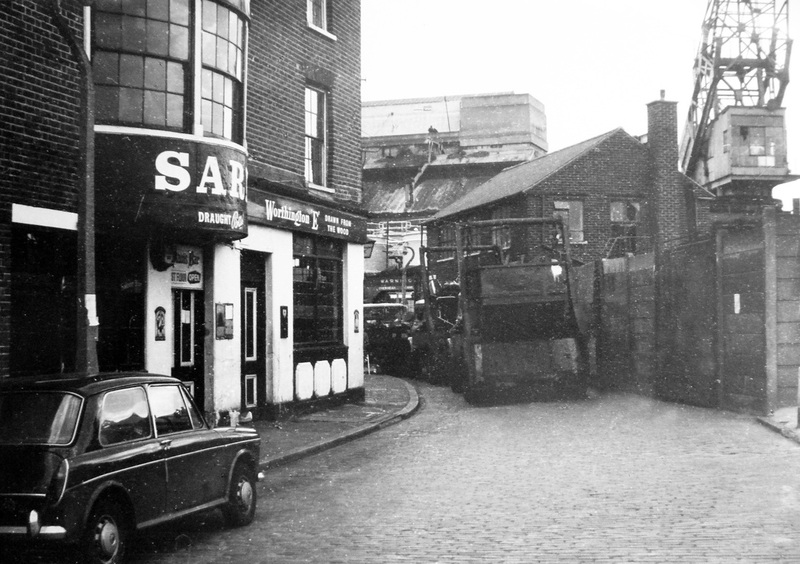 There were frequent queues of lorries along Ballast Quay at busy periods, waiting to disgorge their load onto Anchor Iron Wharf and depart via Lassell Street. Lorries queued on Ballast Quay at the entrance to Robinson’s yard waiting to unload. 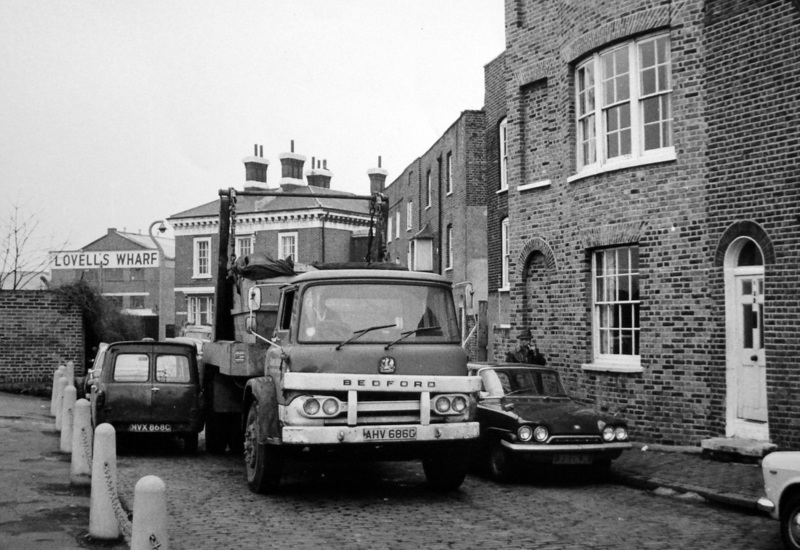 They reversed into the yard, thereby enabling them to drive straight up Lassell Street to Trafalgar Road. 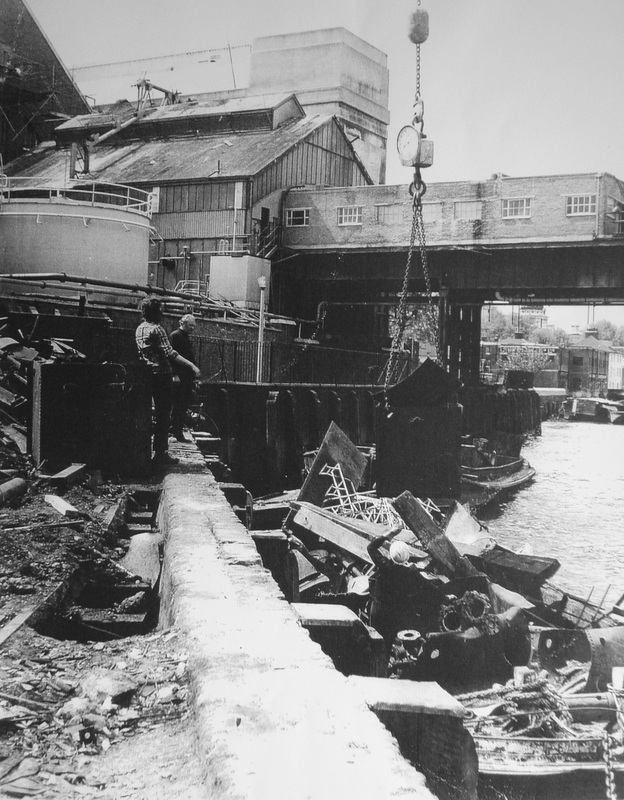 The junction of Lassell Street and Ballast Quay, with the Thames footpath ahead bisecting Robinson’s scrap metal yard. The presence of dirty industrial businesses in the vicinity of a residential street has since the early 19th century been a problem for some tenants. William Bracegirdle successfully objected to Morden College about William Coles Child’s intention to build a smelly soap boiling factory in close proximity to Thames Cottage. 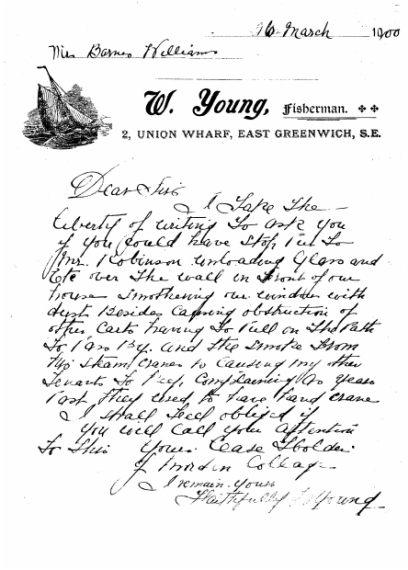 In a similar complaint in 1900 William Young, a fisherman who had a lease on No. 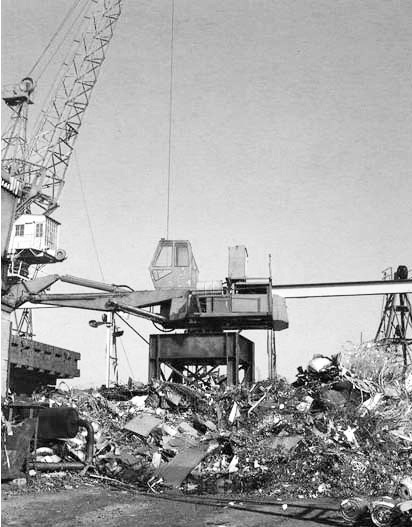 2 Union Wharf directly opposite Robinson’s scrap metal yard, complained to Morden College about the dust, congestion and the nuisance to his tenants caused by the business. Such complaints must have persisted, as a reply from Robinson a decade later shows. 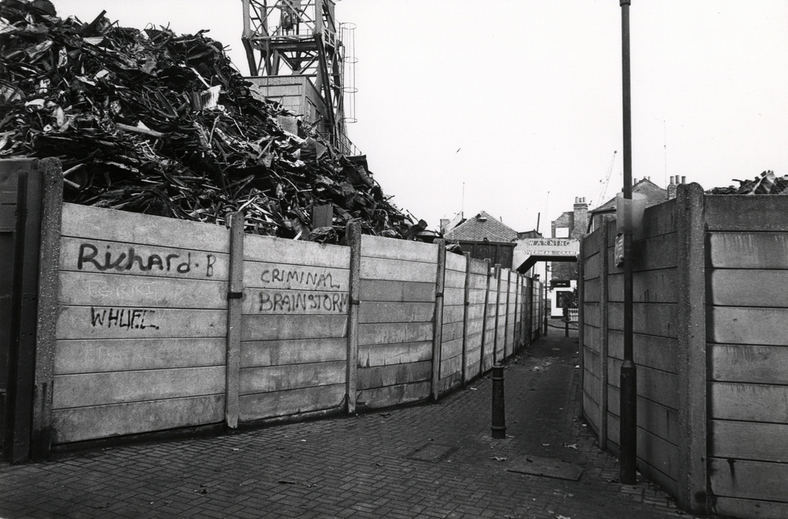 The irony is that the alternative scenario Robinson described in his letter proved ultimately to be prophetic, after the scrap metal business declined in the late 1980s and the lease on Anchor Iron Wharf was surrendered. The former scrapyard, after lying derelict and vandalised for some years, became residential apartments and Anchor Iron Wharf was turned into a public space, opening up views of the river to residents. 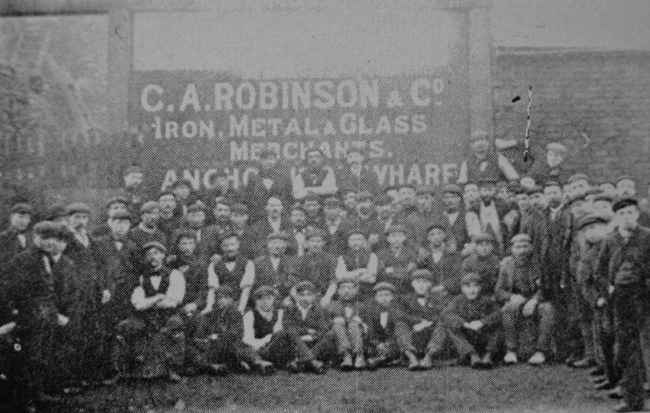 C. A. Robinson & Co. was established in 1835. 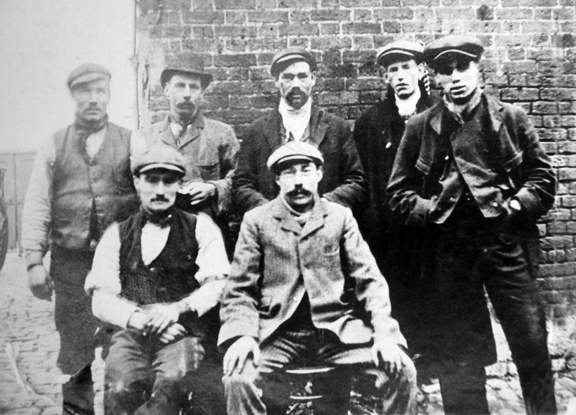 Here a members of the workforce pose for photographs in the early 20th century. The slideshow of photographs below are all from the collection of Larry Bonds. In 1921 Larry's grandfather took over the lease on No.2 Ballast Quay (opposite C.A.Robinson & Co.'s scrap metal yard) from W. J. Young. Mr Young had held the lease on the property since 1887 and his letter of complaint to his Morden College about the impact of Robinson's business on his property is recorded above. Larry's father subsequently acquired the lease on the property and Larry himself was born there and grew up on Ballast Quay.